the open chord concept, finger picking techniques, right and left hand damping, using your capo to play in all keys, walkdowns in all keys, alternate voicings for common chords, modern chord progressions, improving your timing and feel, progressive barre chord voicings, effective strumming patterns and techniques, and more. Mastering the concepts and techniques demonstrated on this DVD will greatly increase your ability and confidence. The Modern Worship Series-Acoustic-Guitar with Paul Baloche – Instructional DVD is a great new way to play modern worship songs with great ease! Thanks to Paul Baloche for puting this out there for all of us to learn!! 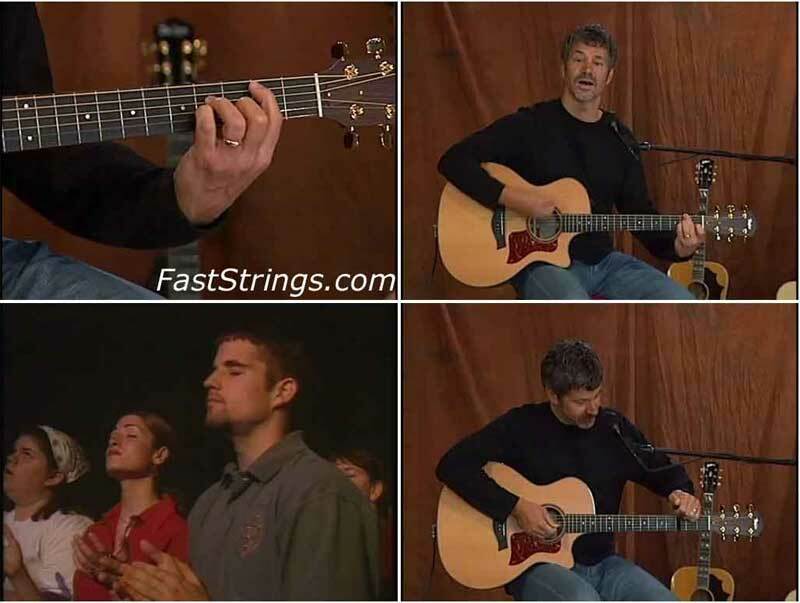 Not only is Paul Baloche an outstanding worship leader, he is a pleasant and excellent guitar teacher. Hi vockla. Thank you for the comment, I love this dvd too. This is an excellent DVD. I am checking it out and he explains things very carefully and what he plays sounds great as well, it makes you feel relaxed. However, be aware Paul Baloche is a worship leader, so throughout the DVD he sings ad lib about the Lord and stuff. This may bother some people, not my case but I thought it was necessary to mention it. Thanks for the upload! 2.5 hrs and every minute is totally awesome…you guys are the best.. thanks so much. ozzymbs, I suppose it should be 2.5 hours. Could you check and let us know? is IT 2.5 HOURS OR 36 MINUTES? With it being 4.7 GB its gotta be 2.5 hours huh? Sounds like a cool download,by the way.